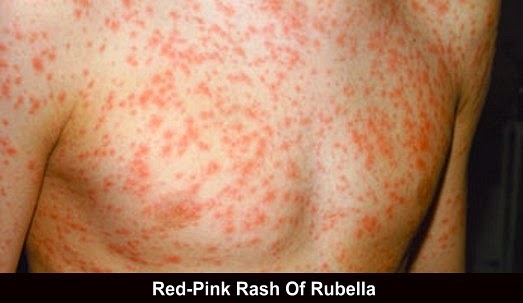 Rubella (also known as german measles) is a viral infection that used to be common in children. It is usually a mild condition that gets better without treatment in seven to 10 days. It has become much less common following the introduction of a national immunisation programme against it (the 'Measles, Mumps & Rubella', MMR vaccine). The main time that rubella becomes a serious concern is if a pregnant woman catches the infection during the first 20 weeks of her pregnancy. 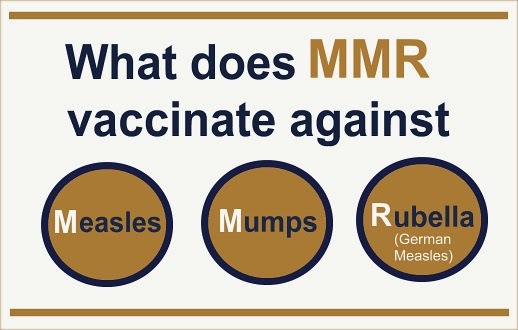 Since the introduction of the mumps, measles and rubella (MMR) vaccine, CRS is now very rare in the UK. Strictly speaking, Rubella is less infectious than chicken pox or measles but whereas most children catch these illnesses early in childhood, up to a quarter of 25-year olds have never contracted rubella. This figure may be lower because many people have rubella so mildly that it never causes symptoms. Rubella is caused by a type of virus called togavirus which is found in the throat and nose of the infected patient. The mode of transmission is by 'droplet spread' i.e. tiny microscopic drops of infected secretions are carried through the air after sneezing or coughing to a healthy person. Here, they are inhaled into the throat or nose from where they spread to the rest of the body. The incubation period (the time between becoming infected and the actual outbreak of German measles) is between two and three weeks so it may be difficult to find out exactly where it was caught. Initially there is a rash that typically starts near the ears and then spreads down all over the body. It looks like fine pink dots under the skin and appears on the first or third day of the illness, disappearing within five days and leaving no marks or peeling of the skin. The rash is often accompanied by symptoms similar to a cold - a slight temperature, swollen glands at the back of the neck or in the groin or armpits. Most children remain well enough to attend school if needed, and the majority of adults can still attend work. Occasionally there can be joint pains, especially of the ankles but these settle on resting. The symptoms of rubella usually only last a few days, but your glands may be swollen for several weeks. No. The diagnosis is made on the person's medical history and clinical findings. If an unvaccinated pregnant woman is believed to have contracted the illness, blood tests may be appropriate. What Treatment Might I Need For Rubella? Rubella does not need any special treatment apart from rest and simple measures such as paracetamol for joint pains or a fever. However, since it is an infectious disease other members of the household need to be considered if they have not been immunised against it. The peak time of infectivity is when the rash is at its height and the main risk is to pregnant women who have not been protected against rubella. The earlier in pregnancy the virus infects the foetus, the greater the risk of serious damage. Between conception and 4 weeks there is a 50% chance of malformation. From 5 to 8 weeks this falls to 35 % and from 8 to 17 weeks 12% of babies are affected. Anyone vaccinated against German measles should not start a pregnancy until three months later and if there is any doubt as to whether you have had the illness in the past, a simple blood test will give you the answer. This test measures the level of antibodies in the blood against rubella, with a high level confirming previous infection or immunisation. Typical birth defects with rubella include deafness, blindness, bone problems and mental retardation. All girls should be vaccinated against German measles to prevent possible problems in the future during pregnancy. In the UK, all children are given the MMR (mumps, measles, and rubella) vaccine between 12 and 18 months that gives long-term protection. 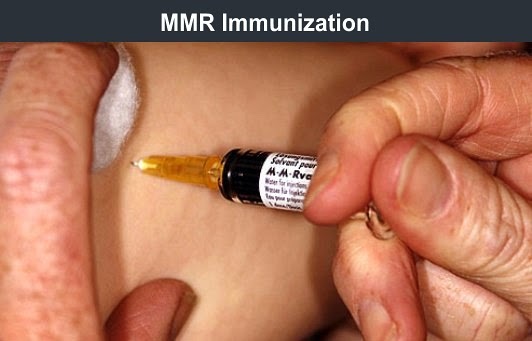 There has recently been considerable debate about whether MMR is implicated in conditions such as autism or Crohn's inflammation of the bowel but all the evidence continues to point to it being a safe and very effective protective vaccine. The only people who should not have it are those on high doses of steroid drugs or who suffer from serious illness. Ask your GP if you think you may not be suitable for it. 1. Have you had an immunisation against rubella? 2. Have you been in contact with anyone suffering from rubella recently? 3. Do you have a rash? 4. Have you been in contact with any pregnant women recently? 5. Have you had symptoms of a cold? 1. Do I need a blood test at all? 2. Have I put any of my family/friends at risk? 3. Will it affect any future pregnancies of mine? 4. Do I need 'booster' vaccinations? 5. Do I have to notify anyone about having rubella? You should always contact your GP if you suspect that you or your child has rubella. Do not visit your GP practice without phoning first, as arrangements may need to be made to reduce the risk of infecting others.